After confusion spread Friday in the wake of further statements from the Susan G. Komen Foundation on its decision to defund Planned Parenthood, pro-life leaders are calling upon the pro-life community to respond with prayer and vigilance in the days and months ahead. The Planned Parenthood Federation of America (PPFA) ignited a media firestorm against Komen and founder Nancy Brinker after news broke this week that the breast cancer organization would no longer be funding Planned Parenthood with grants. Brinker on Thursday said the decision was based mainly on the fact that Komen had decided to focus funding more efficiently, pointing out that Planned Parenthood clinics do not perform mammograms, but refer to other clinics for the cancer screenings. Although several mainstream media outlets portrayed the Friday statement as a reversal, and even Planned Parenthood celebrated the news, a Komen board member emphasized that the statement does not guarantee Planned Parenthood any new grants in the future. Instead the statement was simply a reiteration of what Brinker had already acknowledged this week: that five existing grants to Planned Parenthood would continue through next year, and that the group would not be barred from applying for grants. The latest statement didn’t revisit the issue of whether Planned Parenthood would be eligible to receive grants under the new guidelines. Like several other leaders, Austin Ruse of C-FAM stated Friday that, although the situation was as yet unclear, the real narrative had become clear enough. Planned Parenthood’s rallying call this week to its broad network of support was answered by 22 leading pro-abortion U.S. Senators, as well as House Minority Leader Nancy Pelosi and New York Mayor Michael Bloomberg, the latter of whom pledged a quarter million dollars to the abortion-providing organization in response. 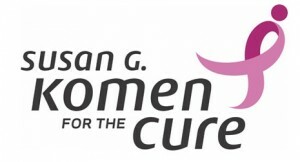 “We should continue to pray for Nancy Brinker and all of her colleagues at the Susan G. Komen Foundation,” said Ruse. As for whether Komen has “caved” to the pro-Planned Parenthood outcry, many say that the real outcome can’t be known for some time. National Right to Life President Carol Tobias urged Komen to stay on track and approve no future funding to Planned Parenthood. “Right-to-life supporters do not want their donations for fighting cancer to go to organizations that perform abortions,” wrote Tobias in a Friday statement. Charmaine Yoest of Americans United for Life said it was “unfortunate” that the relationship between Komen and the abortion industry had been confused, but praised the newfound media exposure of Planned Parenthood’s irrelevance – despite their talking points to the contrary – in the breast cancer battle. “The American public has learned this week that Planned Parenthood does not actually provide front-line breast health services: Planned Parenthood does not provide mammograms – a service that saved my life,” said Yoest.